If you have jailbroken your iPhone, and haven’t changed the default root password then there is the possibility that your iPhone could easily be hacked, basically a hacker can log into your iPhone or iPod Touch and gain full control of your device. 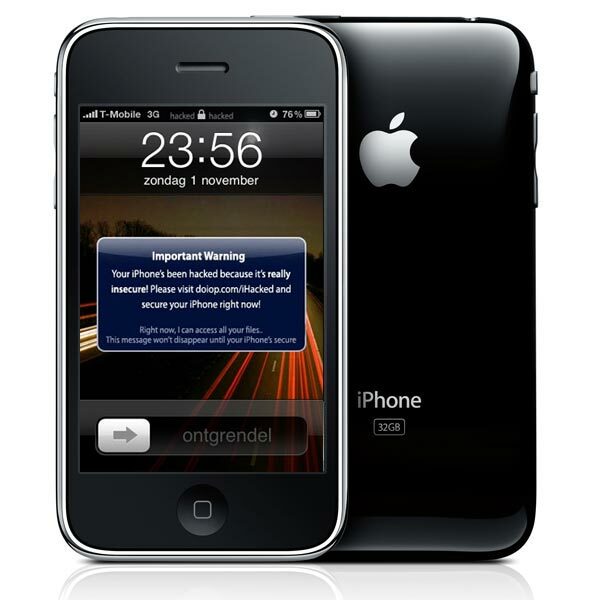 This was the case when a Dutch hacker sent an SMS to iPhones that he had hacked because the root password was the default one, he was then charging people 5 Euros to remove his software from the iPhone. Luckily it seems that the Dutch hacker has had a change of heart and decided not to charge people the 5 Euros, and is giving the software to remove his hack for free. If you jailbreak your iPhone, make sure you change the root password straight away.